**Results vary according to individual skin condition. Ulthera ยกกระชับหน้า กับ คุณซานิ นิภาภรณ์ ฐิติธนการ **Results vary according to individual skin condition. Some used to say “the past is always beautiful”. Although we cannot go back through times, with the modern-age technology, we can turn back time for the skin to be young once again. With Ultherapy, an innovation invented and engineered to resolve the problem of flabbiness whether at the neck, chin, eyebrows, or forehead, it helps lift and tighten the face through the Micro Focused Ultrasound. This technology is designed to restore damaged collagen to be rearranged beautifully as before. Today, there is no other innovation to replace the efficiency of Ultherapy in terms of face-lifting, except for surgery. However, surgery can only lift and tighten the skin, but it is unable to restore collagen underneath it. 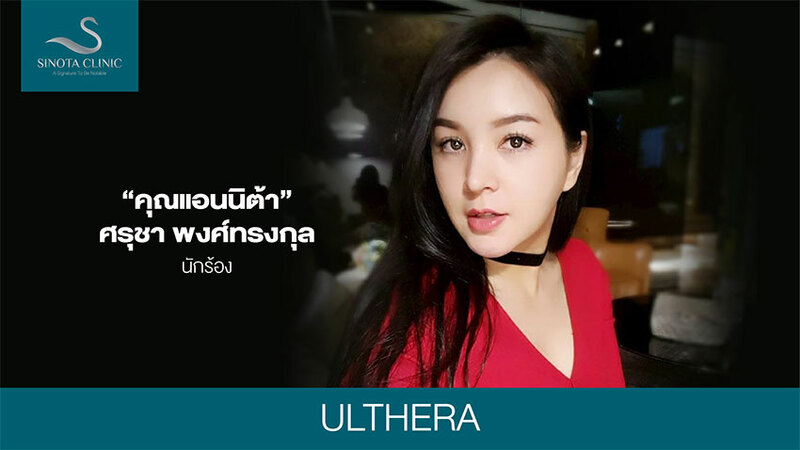 คุณแอนนิต้า ศรุชา พงศ์ทรงกุล (Ulthera) **Results vary according to individual skin condition. 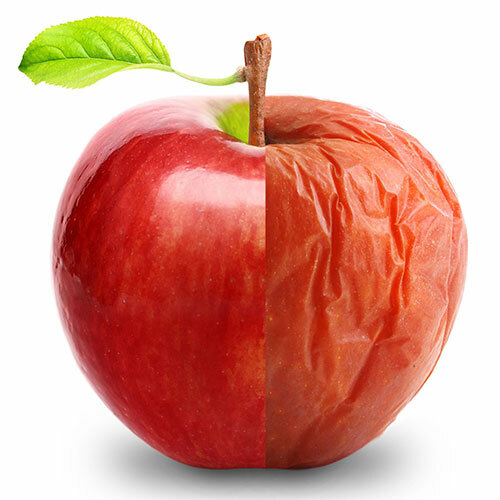 If comparing our skin to an apple, when it is just picked up, the apple skin is still smooth and firm, just as when we were young. 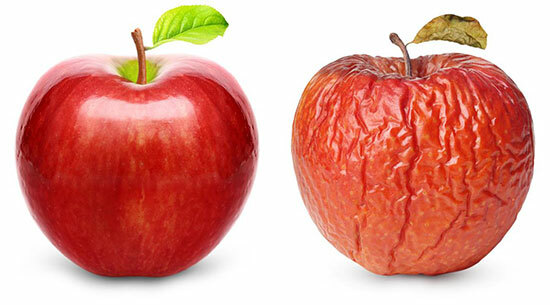 But as we age, the skin deteriorates like an apple that has long been picked. Elastin and collagen underneath the skin have been decomposed as time goes by because they are harmed by several factors such as pollutions, free radicals, sunlight or even gravity, including body aging. As a result, there appear dark spots, wrinkles, lines, sagging skin, and deep facial traces without us realizing it because we are used to seeing our face every day. Once we know it, the skin has lost much collagen and elastin. 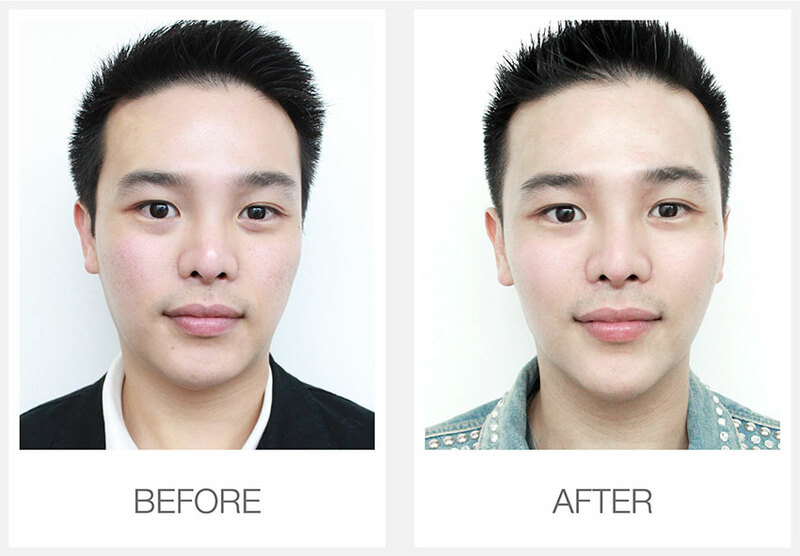 From a young face, it changes to a noticeable aging one with drooping and falling eyelids, falling eyebrows, unclear face contour, sagging cheeks, drooping face, falling lips angle, double chin, wrinkly neck and fingers, etc. Therefore, if you want your face and skin lifted and rejuvenated, surgery is not always a choice because that may be a cure at the end result. But for the cure at the original cause, first we all have to understand our skin structure in order to better understand the mechanism of Ultherapy. Knowing the skin layer structure to restore it directly. 1.Epidermis: this layer protects the skin from any harm such as sunlight, dirt or pollutions which we cannot see with our naked eyes. 2.Dermis: this layer produces fluids. It is highly flexible and dense because it is composed of sensory glands such as hair root, and hairs. 3.Subcutaneous Fat: this is a fat layer, composed of cells that are the source of body’s energy. It keeps out body warm and protects certain organs inside. From the above skin structure layers, we can understand that rejuvenating the skin from today to the future is not difficult if we are able to build, restore and maintain collagen and elastin in the SMAS layer. 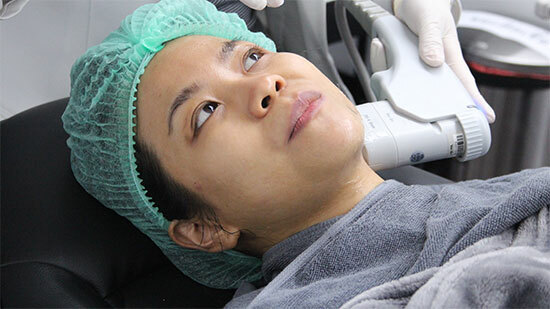 The problems of sagging cheeks, drooping eyelids, double chin, or wrinkly neck can be corrected using the Ultherapy innovation which works on the principle of “Micro Focused Ultrasound” with an application of high-frequency ultrasound that releases its energy to cause collagen contraction and restructuring. From this illustration, we can see that the energy transmission of each technology goes into a different level of depth; Ultherapy is able to go to the deepest as equal to surgery without causing any damage to the upper skin layer. 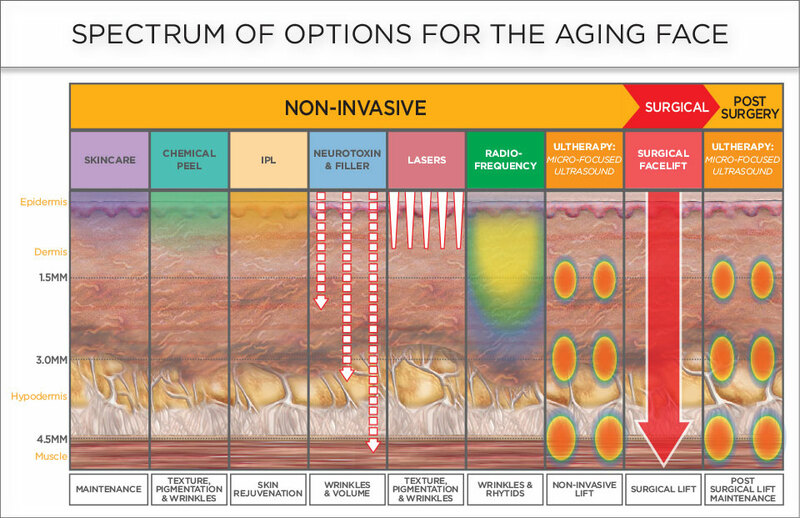 Response to the need for young skin and correct skin degeneration without surgery through Ultherapy, an advanced medical innovation that helps to restore skin elastin and collagen, using ultrasound, which is a sound wave with precision and specification, to be transmitted in the form of considerable tiny dot line into the SMAS layer, which is the muscle layer with an effect upon face lifting. Ultherapy is then an innovation preferred by dermatologists for effective tissue lifting. - SMAS: increase of new tissue; consequently, collagen fiber is better retracted both vertically and horizontally. The skin is firm and smooth. Restoration of elastin and collagen for face lifting by Ultherapy is currently a unique non-invasive lifting innovation. Ultherapy is a unique lifting advancement accepted by the US FDA in regard to skin lifting for eyebrows, eye contour, cheeks, chin, neck, chest and hands, as well as to wrinkle correction and activation of collagen and elastin reproduction to the skin. 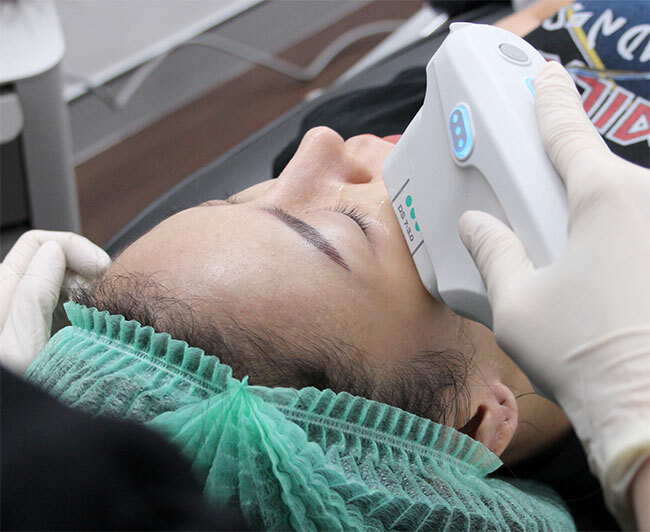 Besides, Ultherapy has been designed for the utmost efficiency in application as the Ultherapy laser machine is equipped with a screen to display the skin layers so that the specialist can carry out the treatment directly to the point. The device can also adjust the energy parameter to be transmitted to the skin layer with accuracy, providing a desirable lifting result. Why does it have to be Ultherapy at Sinota Clinic? To regain the skin’s youth, the treatment with Ultherapy must be carried out with the greatest attention. 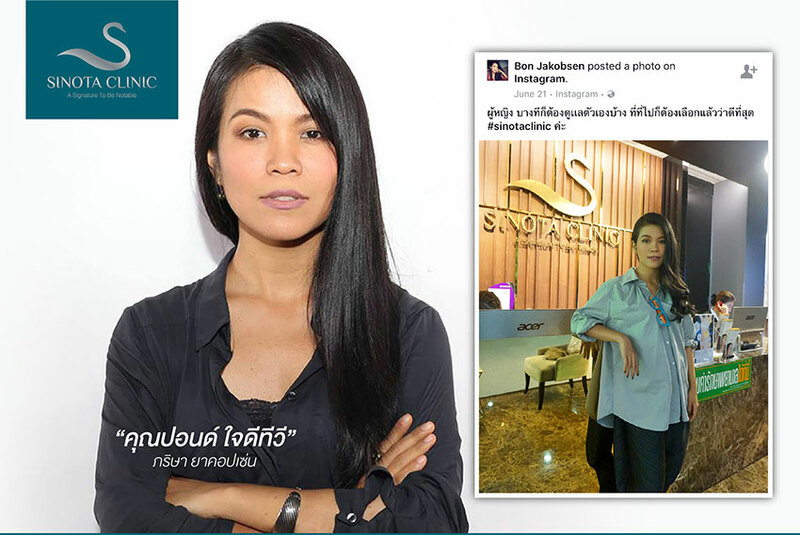 At Sinota Clinic, apart from modern and latest devices, we also have a skilled medical team that understands and reaches aesthetic importance for every single patient, along with knowledge and experiences in both technology and art. They are therefore able to provide a treatment that answers to your needs as face lifting and adjustment with Ultherapy requires both science and art in designing in order to fit individual facial structure and problem. In addition, the Ultherapy technique must be conducted for the patient to feel the least pain or no pain at all, i.e. to be able to stand the high-energy treatment. An important secret in conducting Ultherapy with success is to design the procedure in detail: what area of the face to be treated, an appropriate energy parameter to apply, or even how deep the energy is to be sent to. That is because Ultherapy does not only aim to provide a skin lifting result, but also an individual’s unique beauty. คุณปอนด์ ใจดีทีวี (Ulthera) **Results vary according to individual skin condition. 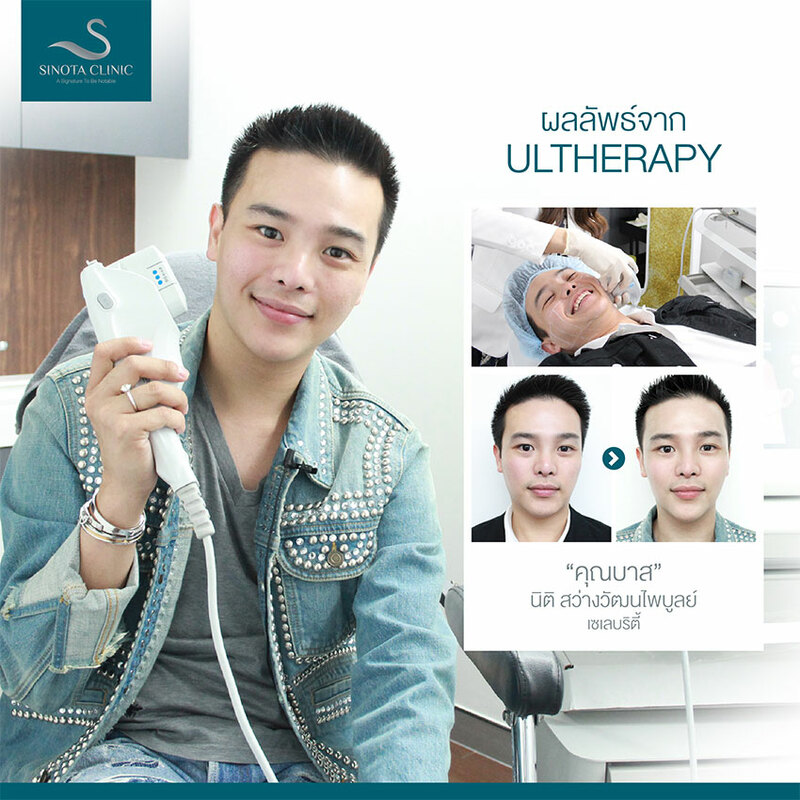 Ulthera By Sinota Clinic กับ คุณปอนด์ ใจดีทีวี **Results vary according to individual skin condition. 1.Ultherapy helps lift the skin with the problem of flabbiness, be it at the chin, neck, hand or any wrinkly area, to be smoother and tighter again. 2.Ultherapy reduces wrinkles, and corrects drooping eyelids and eyebrows. 3.Ultherapy adjusts the facial figure, to be finer and more fitted. 4.Ultherapy provides more refreshed and younger skin from the eyebrows to the chest. Every property of Ultherapy offers a result equal to a face lifting surgery. A smoother and tighter skin will be obviously seen with no slightest risk of injury. It is a new dimension for skin care, suitable for those who are afraid of surgery or those who want to postpone the time for plastic surgery. 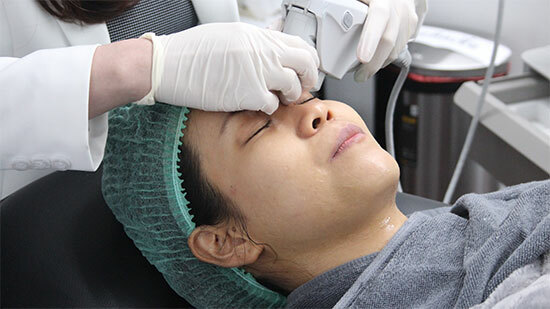 Ultherapy or Micro Focused Ultrasound Lifting is different from the application of other radio waves as it functions by transmitting the ultrasound energy to the skin layer where lifting is targeted, altering it into dot line heat element specific to the area to be treated, with the ability to penetrate down to the SMAS layer. This heat transmission will induce a 1.3-mm. contraction to stimulate elastin and collagen production. The most accurate distance of dot line must be equal at the range between 1-1.5 mm. for consistent efficiency in tissue reproduction. This causes a retraction of elastin and collagen fiber vertically and horizontally, better holding and attaching to the upper skin layer. It results in better skin lifting and smoothness. An obvious change will be found after the Ultherapy treatment. 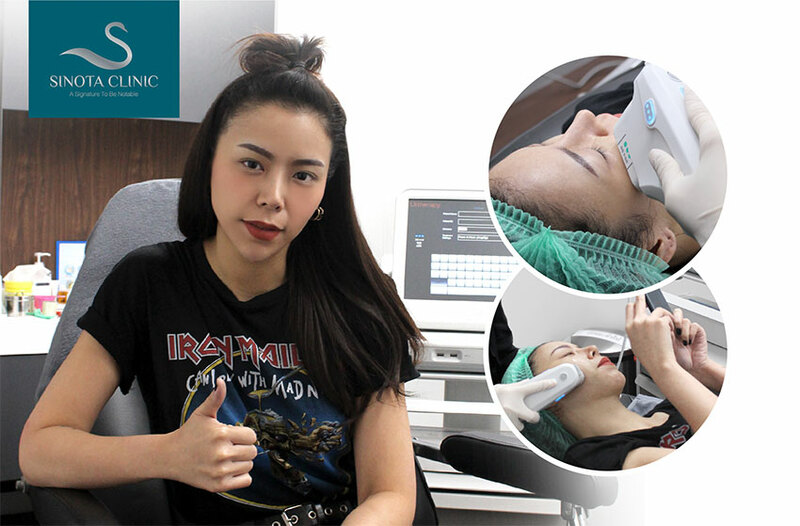 During the treatment, once the Ultherapy’s ultrasound energy reaches the SMAS, you will feel as if a tiny thorn is stabbing underneath the skin, together with warmth there, but no pain or suffering will be caused. The feeling varies individually. Upon completion, on the skin area treated with Ultherapy may appear a slight redness, depending on individual skin condition. It will disappear in no more than 2-3 hours. Some may have a slight swelling trace lasting for 2-3 days, or a painful feeling when pressed on, or a twinge for 2-3 weeks after the treatment. However, normally, these conditions will slightly and temporarily occur. In some cases, there may be bruises. For those with a sensitive skin or slight numbness in certain part, the doctor will consider and provide advices. These symptoms are owing to the fact that Ultherapy or the ultrasound energy reacts very well to the deep skin layer. In comparison of Ultherapy with surgery, the lifting result may not be much different, but surgery does not cause the elastin or collagen tissue under the skin to be restored whereas Ultherapy positively impacts on the deep skin layer structure. After just one Ultherapy treatment, a treatment result or change will be seen after 3 months onwards, because the reproduction of elastin or collagen tissue will be complete after such period of time. The person treated with Ultherapy will feel a result, be it lifted eyebrows, tighter and lifted eyelids, sharper face contour, smoother skin and smaller skin pores on the treated area. The face will obviously look younger. These are the reasons why most women consider Ultherapy as an aesthetic innovation for skin lifting and rejuvenation. 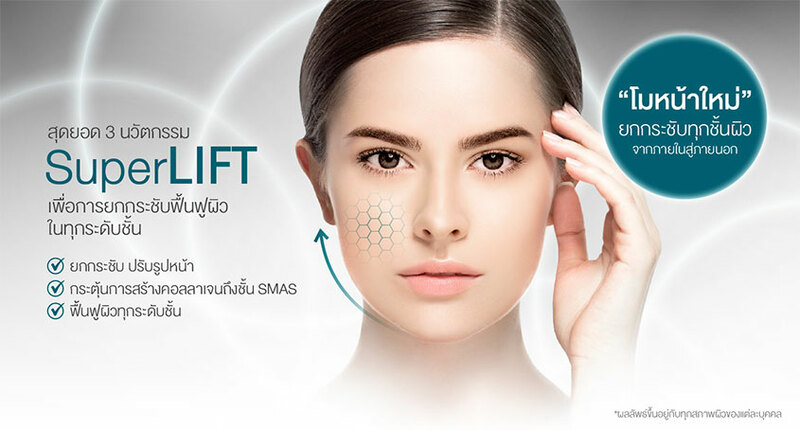 1.Ultherapy directly corrects the problem of flabbiness for face, eyebrows and eye contour. 2.The treatment result of Ultherapy lasts over a year, with no surgery needed. 3.The treatment does not take long, about 1-2 hours, depending on the treated area. 4.Ultherapy is a non-invasive procedure, no skin damaged. 5.Ultherapy helps stimulate the production of elastin and collagen tissue under the skin, providing a smooth and firm skin. 6.Ultherapy offers a natural result. 7.Normal daily life can be resumed after the treatment, no need for recovery or leave from work. 8.Make-up can be put on normally. 9.Ultherapy is not a surgery, be assured of the safety from any complications. Besides, it leaves no scar on. 1.How long does it take to carry out an Ultherapy treatment? The duration for an Ultherapy treatment depends on the area to be lifted. For instance, for the whole face, it takes about 30-45 minutes while the treatment for the whole face and the neck will take about 60-90 minutes. If for the chest, it may only take 30 minutes. 2.After the Ultherapy treatment, do we have to take a leave from work? After the treatment, you can put on make-up and continue with your normal daily life. There is no need to take a leave from work for skin recovery. 3.When will the treatment result of Ultherapy show and how long does this efficiency or result last? For Ultherapy, a result can be seen at the first stage of treatment done. The treated person will feel a difference from the first time, but the best result will show during the period of 2-3 months after the treatment because the deteriorated elastin and collagen tissue will be replaced with new tissue; that is, newly produced elastin and collagen. 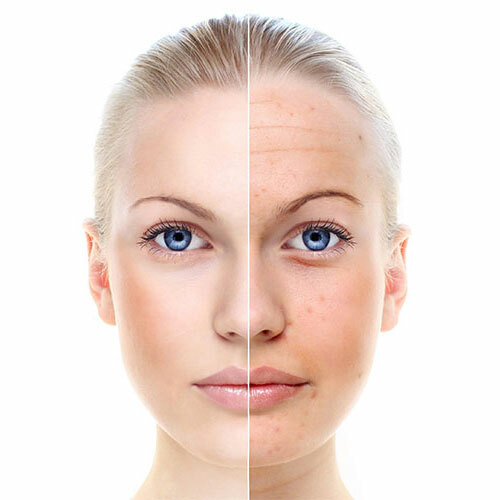 However, as our skin experiences degeneration on a daily basis, therefore for better efficiency, additional Ultherapy treatments should be received in the future to stimulate collagen reproduction to substitute and prolong natural skin aging. You can be sure that Ultherapy can help activate collagen production under the skin. 4.Is the Ultherapy innovation dangerous or harmful to the skin? Ultherapy: Micro Focused Ultrasound Lifting is a safe innovation that causes no danger to the skin. On the other hand, after a treatment with Ultherapy, you will get a satisfactory treatment result. Ultherapy is a lifting technology certified by the US FDA, and it has been used for over 700,000 times world-wide. In dermatology, the efficiency and result of ultrasound are well known. It has been certified and applied medically for over 50 years. Besides, all Ultherapy service providers must have attended trainings on all the processes and devices and the standard must be met, for the customers to be assured. 5.What is the difference between Ultherapy and a laser treatment? Ultherapy is a sound-wave innovation that is able to emit energy through the skin layers without causing any damages. The released energy will stimulate collagen production; and the lifting result will be seen within 2-3 months. For laser, it is a light energy that cannot go as deep as Ultherapy. Its application can however be alongside the patient’s different problems. 6.How many times is the Ultherapy treatment to be done to see the result? Ultherapy provides an instant result; however, the best of result can be seen in 3 months after the treatment. Normally, it is recommended once a year, depending on an individual’s problem and skin condition. 7.Why is there no result after an Ultherapy treatment? Normally, the patient will get a result immediately after an Ultherapy treatment, but in the case of no obvious result or no difference from before the treatment, this may be due to the patient’s problem analysis, the energy parameter, the number of treating shots, the doctor’s expertise, and the genuineness of device. Ultherapy is a sound-wave energy that produces heat to be transmitted down to the targeted deep skin layer (Inside Out) while Thermage is a radio energy that produces heat to be transmitted through the upper skin layer (Outside In) down to other layers. The emitting energy is in the form of a mass, effective for fat dissolution. However, both technologies can assist lifting, depending on the patient’s problem and individual structure. 1.Be careful with the customer having an implant in place. 2.Be careful with the customer having an electronic device implanted in the face or neck. 3.Be careful with the customer having vasodilator such as in the face, neck, mid-chest or chest. 4.Be careful with the customer with a breast implant. 5.Be careful with the customer with a keloid. 1.Thyroid gland and thyroid cartilage. For whom is Ultherapy not suitable? 5.Those with abnormal bleeding or blood coagulation disorders. 6.Those with a skin problem or localized sin disease. 8.Those with their own tissue resistance problem. 10.Those with epilepsy and Bell’s palsy. How to know if Ultherapy is genuine? 2.The device used must be equipped with a display screen; the energy parameter must be read from such screen so that the doctor can use the Ultherapy device with efficiency. 3.The Ultherapy head must be coded, as certified by the company. 4.The Ultherapy service providing doctor must have a certificate from the company. For everyone, especially women, although you cannot stop time in real life, we can choose to stop time for our skin in order to always keep the freshness and youth. Working hours : (daily) 10.00 – 19.00 น.